This is a slightly abridged version of the original article, entitled "Trash Talk Diplomacy and US-Israel relations." 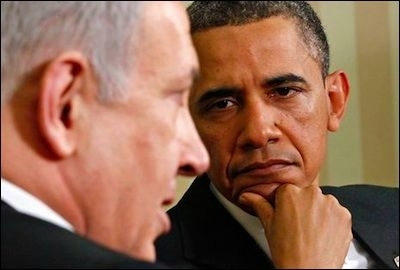 President Obama sees Israeli Prime Minister Benjamin Netanyahu as standing in the way of American détente with Iran. On October 28, 2014, the conduct of the foreign relations of the United States of America reached a low point when an anonymous "senior Obama administration official" went on public record in an interview with the journalist Jeffrey Goldberg of the Atlantic magazine and called the Prime Minister of Israel a "chickenshit." In the vernacular of American sports language, perhaps familiar to sports fans in Israel as well, this was an example of "trash talk" — the kind of insult intended to undermine the self-respect and focus of an opponent. Yet it was far worse than that. It was an expression of contempt, disdain and yes, let's be frank, hatred directed at one of the closest, most loyal and important of America's allies. It is inconceivable that an aide to the President of the United States would go on record with such language about the heads of state of allies such as Australia, Canada, Great Britain, France, Germany and Japan. Yet the anonymous aide did so regarding the leader of the Jewish state. In the uproar that followed, the White House had a deputy national security spokesman issue a statement saying "such comments are inappropriate and counter-productive." Secretary of State John Kerry rightly told a Washington gathering that the remarks were "disgraceful, unacceptable, damaging." He also phoned Prime Minister Netanyahu personally to apologize. Obama did not call Netanyahu to apologize, fire the offending official or even reveal his or her name. The most important thing to keep in mind about the "chickenshit" comment is what President Obama did not do in the aftermath. He did not call Prime Minister Netanyahu to apologize, nor did he address the issue publicly himself. He did not reveal who the offending official was, though he surely must know his or her identity. Last, and perhaps most importantly, he did not fire this aide for using gutter language in public to refer to Netanyahu. What the President did not do sent the message that he shared the views expressed in the Goldberg interview. The President was willing to use such "trash talk" to refer to Netanyahu, but he did so via an anonymous member of his staff. It strains credulity that a senior member of his staff would go on the record with such comments without the permission of the President himself. What the President did not do sent the message that the President of the United States shared the views expressed in the Goldberg interview. For six years, Barack Obama has insisted that the policy of the United States remains that of preventing Iran from attaining nuclear weapons. For that same six years, the negotiating position of the United States has moved closer to those of Iran. As a result, there are serious, well-informed people in Washington who believe that the actual policy of the administration is to accept an Iranian bomb and then institute a policy of deterrence. During these same six years, Obama has made clear to Netanyahu that he opposes an Israeli military strike on Iran's nuclear facilities. Netanyahu, both due to the advice of his own military leaders and in order to preserve the alliance with the United States, has refrained from launching such an attack even as he has repeatedly — and rightly — insisted that an Iran with nuclear weapons is an existential threat to Israel. Netanyahu has been patient even as the Iranian threat has grown while doing what he can rhetorically to warn against complacency and wishful thinking. His reward for these six years of patience was to be called a "chickenshit" in public by one of Barack Obama's closest aides. Prime Minister Benjamin Netanyahu received 29 standing ovations during his speech to a joint session of Congress in 2011. Now Jeffrey Goldberg has helped things to go from bad to worse. This past week, on January 27th, International Holocaust Remembrance Day, he published "The Netanyahu Disaster". The journalist has concluded that, in addition to his other faults, the Prime Minister of Israel is incompetent because "the manner and execution and overall tone-deafness of Netanyahu's recent ploy," that is his acceptance of House Speaker John Boehner's invitation to speak to a Joint Session of the United States Congress without discussing it with the Obama administration, "suggest that he — and his current ambassador [Ronald Dermer] — don't understand how to manage Israel's relationships in Washington. Netanyahu wants a role in shaping the Iranian nuclear agreement, should one materialize. His recent actions suggest that he doesn't quite know what he's doing." In October, Goldberg became the vehicle for the Obama administration to label Netanyahu a coward. Now he concludes that the Israeli Prime Minister does not know what he is doing in foreign policy. Goldberg is a barometer for some of those American Jewish journalists, intellectuals and politicians, who genuinely care about Israel's security, are worried that Iran is moving to acquire nuclear weapons and are reliable supporters of Barack Obama and the Democratic Party. As Obama gives every indication of wanting to make a deal with Iran that will make it possible for it to acquire nuclear weapons in the not-too-distant future, it has become very difficult to reconcile this mixture of views. So as push comes to shove, Goldberg and other center-left opinion makers place most of the blame for American-Israeli tensions on Prime Minister Netanyahu. 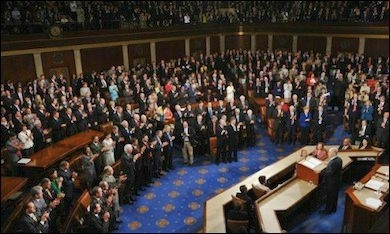 Compared to the question of whether or not Iran is going to acquire nuclear weapons and thus whether or not it is likely that a nuclear attack on the state of Israel will occur in the coming years, the issue of whether or not Israel's Prime Minister should accept an invitation to address a Joint Session of the United States Congress is a trifling, insignificant matter. After his failure to fire the official who made the "chickenshit" comment to Jeffrey Goldberg, President Obama is in no position to lecture Benjamin Netanyahu about protocol and proper procedure, or to express unhappiness that Israel's Prime Minister wants to take his case to the Congress. Western leaders do not like to be told that they are naïve about Iran, substitute wishful thinking for realism, and refuse to take the ideology of the Iranian government seriously. Benjamin Netanyahu is an irritant to President Obama and to all the diplomats and political leaders in the P5+ 1 group who have steadily weakened the Western negotiating position with Iran. These leaders do not like to be told that they are naïve about Iran, that they substitute wishful thinking for realism and that they refuse to take the ideology of the Iranian government seriously. They do not like to be told that their desire for a deal with Iran is clouding their better judgment. They do not like to have their judgment questioned in public. Netanyahu has done all of those things, but always the substance of the issue is the survival of Israel. Ultimately it is this, his willingness to challenge political judgment, that is so infuriating to Obama and to the European heads of state pushing for what he regards as a bad deal with Iran. It is Netanyahu's firm and polite impertinence and his willingness to dissent that led to the insults and gutter language from Obama's staff member. For the Obama administration, the most infuriating thing about Benjamin Netanyahu regarding the issue of Iran's nuclear weapons program is that he continues to insist that only the toughest economic sanctions and a credible threat of a military strike are going to convince the Islamic Republic to turn away from nuclear weapons. President Obama's declared policy remains prevention of an Iranian nuclear bomb because it would constitute a grave threat to the United States and to many of our allies, most of all but by no means exclusively, to Israel. It is vital for allies to present a united front to the real adversary, the Iranian regime and its search for the ultimate weapon. Insofar as it concerns the possibility of Iranian nuclear weapons, the national security interests of the United States and Israel are identical. Both have the same declared policy of preventing Iran from getting the bomb, not of deterring Iran once it has it. Prime Minister Netanyahu has been an irritant to President Obama and the P5 plus 1 countries that have allowed Iran to drag negotiations on and on while it works on the bomb. Yet Netanyahu is right on the substance of the matter. In return for his excessive patience with the Iranians, President Obama has little to show for his efforts except a growing number of Iranian centrifuges. The disastrous October interview given by one of Obama's own staff members deeply exacerbated tensions between close allies. Statesmanship in the White House calls for welcoming the Prime Minister to Washington in March and consigning the sordid chapter of trash talk diplomacy to the past. President Obama may be remembered as the President on whose watch Iran got the bomb—or as the one who prevented that from happening. As counter-intuitive as it may sound in the current climate, the White House should reach out both to Netanyahu and to his foreign policy critics in Congress. It needs them both badly if it is to be able to apply sufficient pressure on Tehran that is indispensable for achieving a policy of prevention by peaceful means. Only if the President is willing to turn down a bad deal with Iran will there be a chance of success via diplomacy and sanctions short of war. Now it is vital for allies to present a united front to the real adversary, the Iranian regime and its search for the ultimate weapon.